Adjust whether an assignment is locked, view-only, or editable, and make a schedule to have it happen automatically! With Student Access, teachers can control what kind of access students will have to assignments. 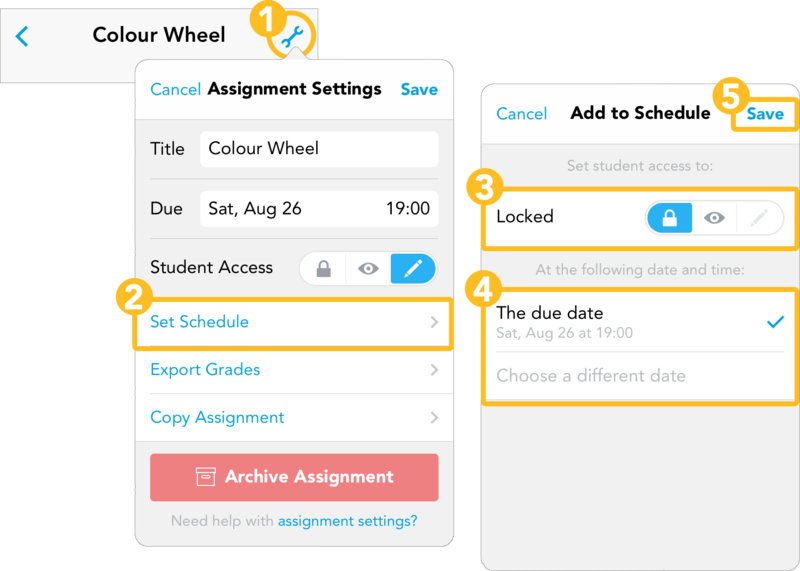 When combined with assignment scheduling, you can easily change the type of student access automatically depending on the date that you set. We can start things off simple with just a due date! Make sure you tap Save afterwards! 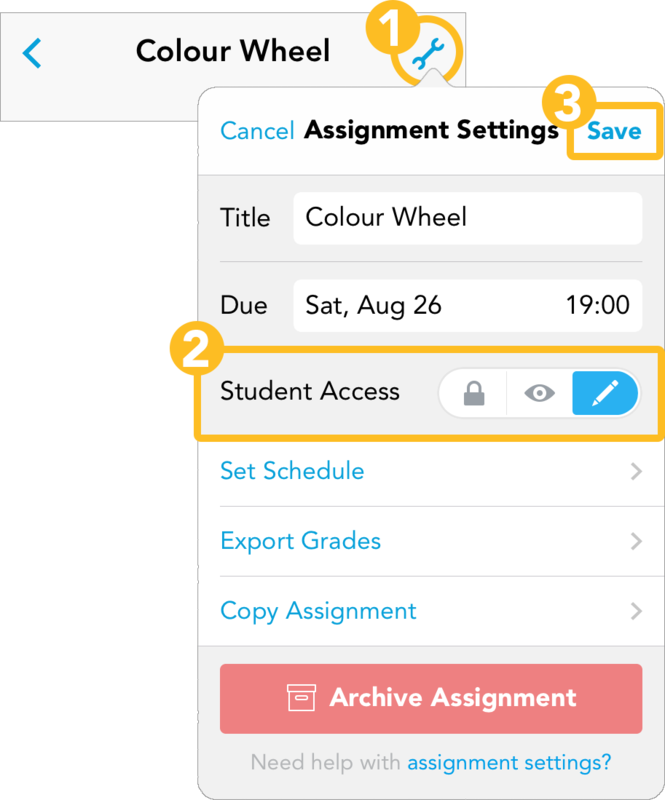 We start with ow to change student access but keep reading to learn more about the different types of access you can choose from in Showbie. Make sure you tap Save when you're done! Students will be able to see the assignment name within their assignment list, with a lock symbol beside the name. When locked, you can create and work inside the assignment without the students having access to it or receiving notifications. Locking an assignment is excellent for grading! After the due date has passed, lock the assignment so students cannot submit additional work. Grade all the work then set it to View-Only and all your students will receive their grades at the same time. Students will be able to see the contents of the assignments and can open files but will not be able to add new files or annotations. An eye symbol will appear next to the assignment name. Teachers can use View-only to release marked work back to students, or provide instructions to an upcoming assignment. Students may add new files and will be able to annotate PDFs and images. It’s the state for any assignment when you want students to submit work, add some annotations, and for generally getting things done! When you have so many assignments and so little time, take advantage of the assignment schedule to have assignments seamlessly switch from mode to mode. Set it to lock on the due date, view-only once you’ve marked it, and then unlocked again for revisions – it’s all up to you to reap the benefits of automation! There can be a max of three items in the schedule and each type of student access can only be used once. An assignment cannot be set to lock on two different dates, or to be in view-only mode on two different dates.